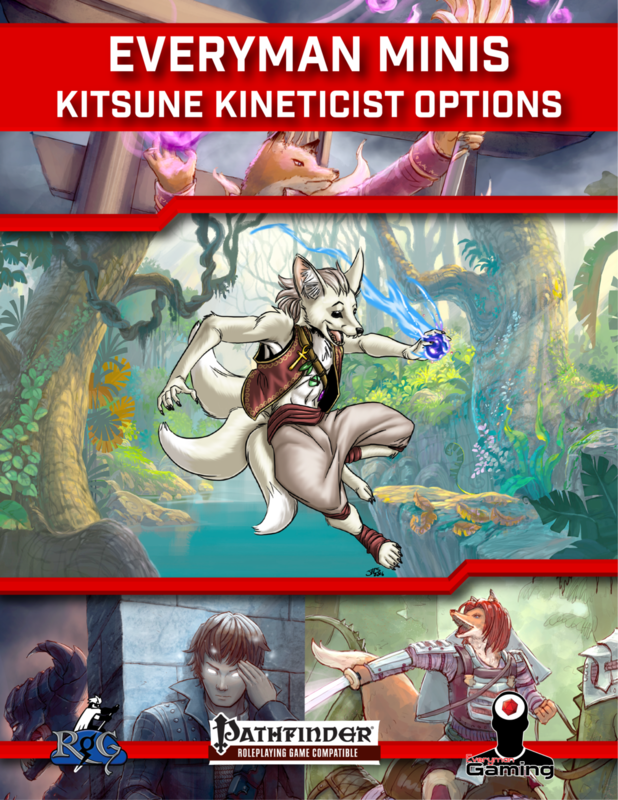 This installment of Everyman Minis includes: 1,000 words detailing an all-new archetype for kitsune kineticists, the chosen of the clan. This archetype represents a kitsune character whose elemental powers stem from the lingering essence of her ancestors, and includes powers like the ability to sap her vitality to further reduce the cost of her wild talents and utilize ninja techniques through sheer force will. Also included are several new feats: including Blazing Fox Form, Exploding Fox Form, Kinetic Kyubi, and Kinetic Shapechanger!